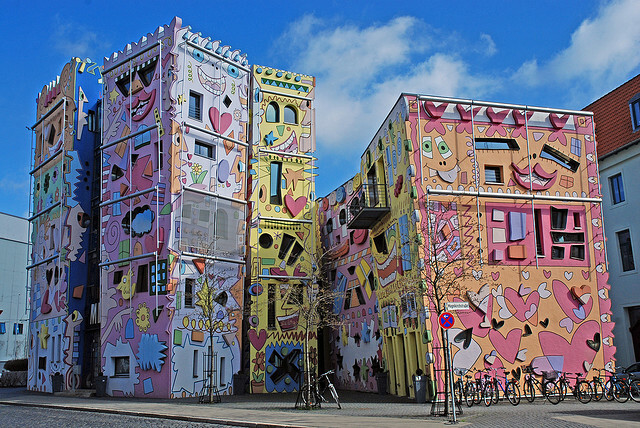 You can only imagine the coughs and splutters from certain more traditional quarters when the idea for the Happy Rizzi House was first mooted to the council of a historical German city. 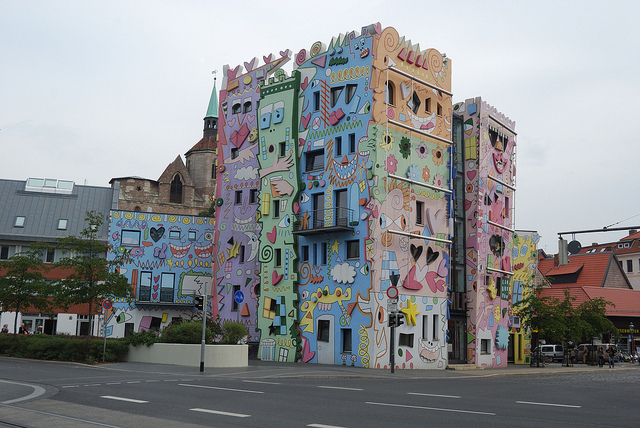 SpongeBob SquarePants might be happy taking up residence inside its day-glo walls but some of the elders of the ancient German city of Brunswick (Braunschweig in German) were most certainly not amused. 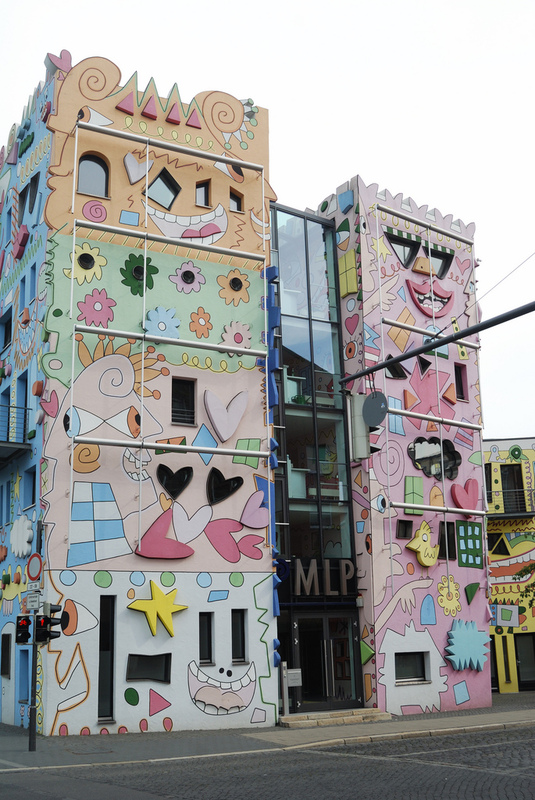 Worse still, the planners wanted it to be placed in the city’s most historic area, the Magni quarter. Many were agog that this outrageous idea could even be proposed, let alone accepted. 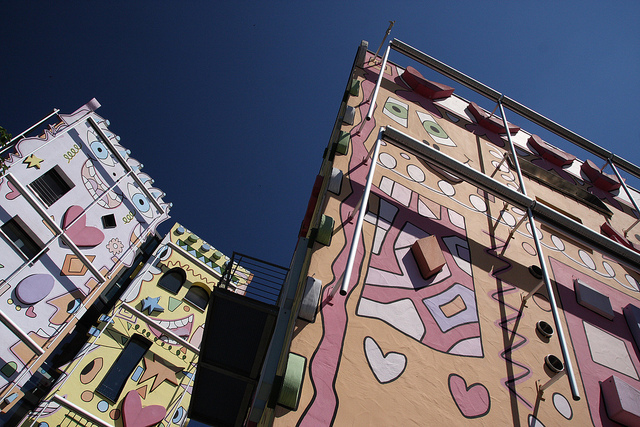 Yet 15 years later the Happy Rizzi House is part of the city’s landscape and most denizens of Brunswick would be loathe to see it torn down. 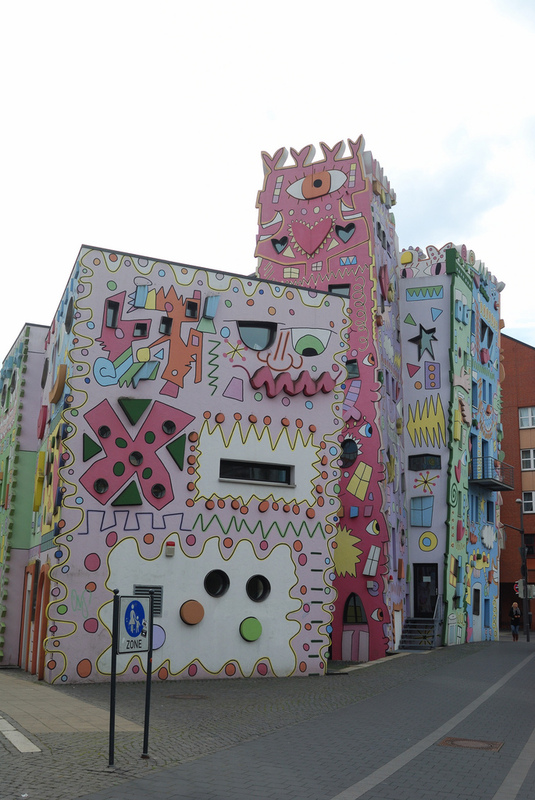 Just as Saint Paul’s in London was derided when it was first built for being a veritable blot on the landscape and then first slowly accepted then finally adored, the Happy Rizzi House is now a cherished part of Brunswick. 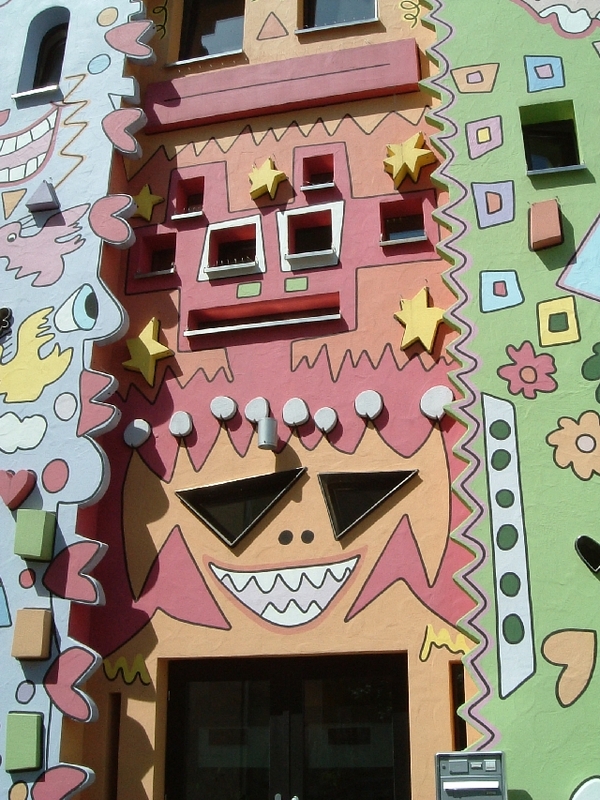 The idea for the Rizzihaus was first proposed during a conversation between artist James Rizzi and gallery owner Olaf Jäschke. 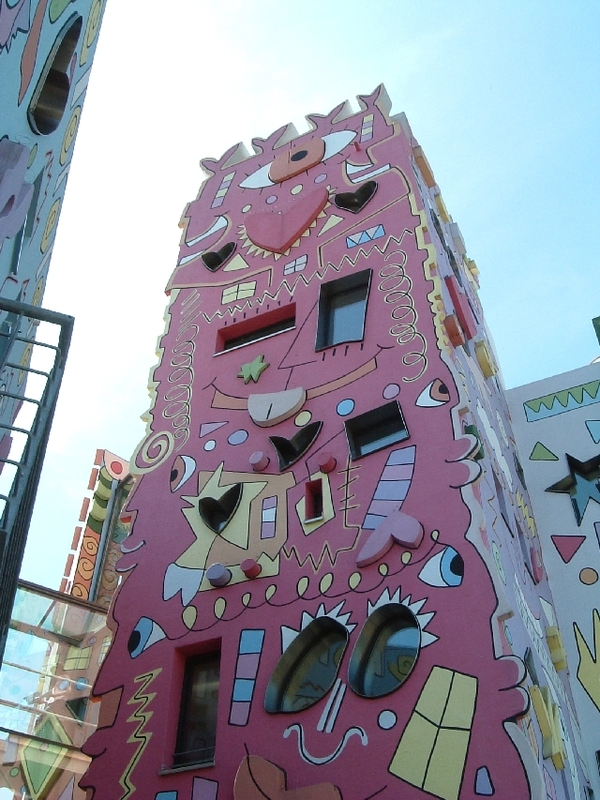 Within months the plans had been made and the planning permission given. 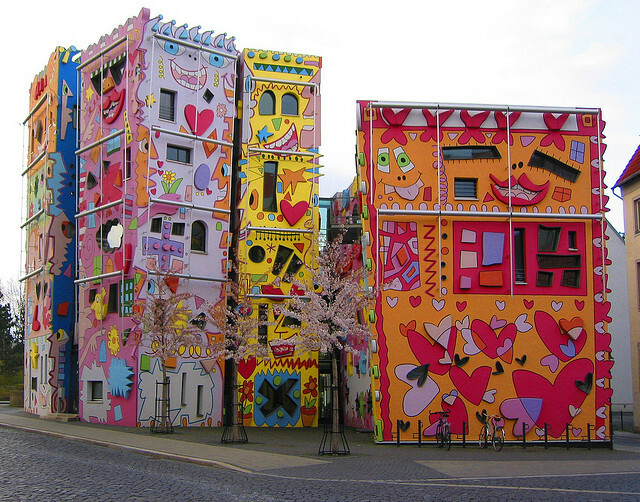 Architect Konrad Kloster came on board the project and it then took two years to build this remarkable collaboration. 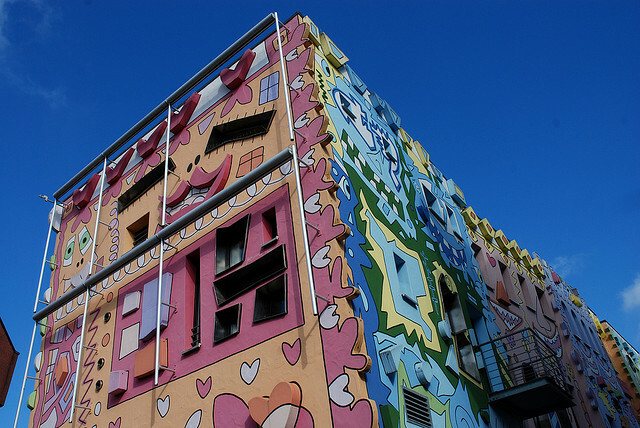 Rizzi, an American pop-artist who died in December 2011, was most famous for his 3D artwork and this is probably his largest piece. 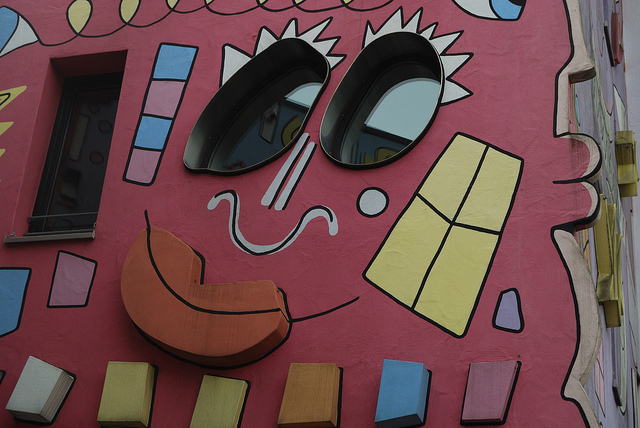 American readers of a certain age may remember him best for his artwork for the cover of the Tom Tom Club's first album (they were an offshoot of Talking Heads). 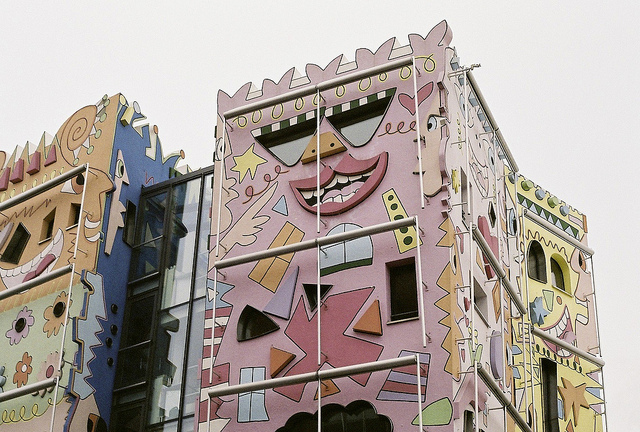 A riot of colors, shapes and body parts, this is maximalism taken to, well, the max. 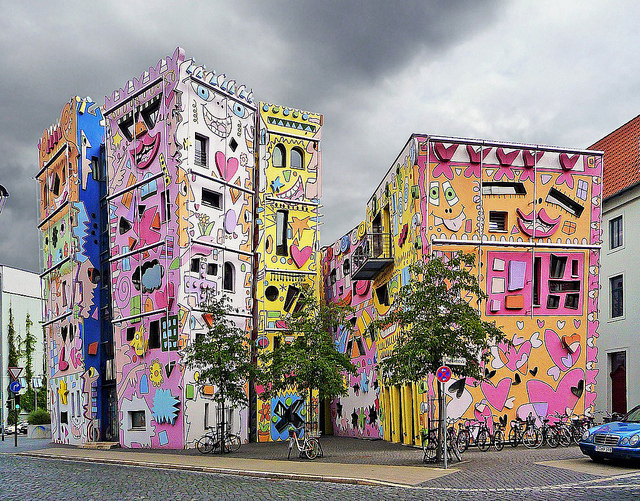 Rizzi, who was worshiped in Germany as something of a pop art idol, truly pulled out all the artistic stops on the project. 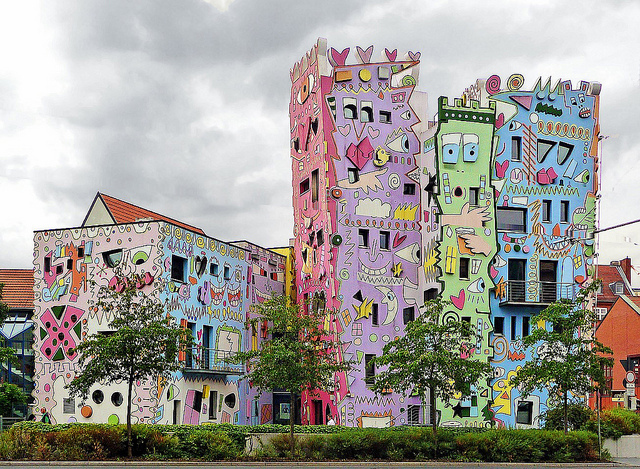 No wonder Rizzi was often described as Picasso meets Hanna-Barbera - it is art that can be taken quite seriously while being deliriously absurd at the same time. 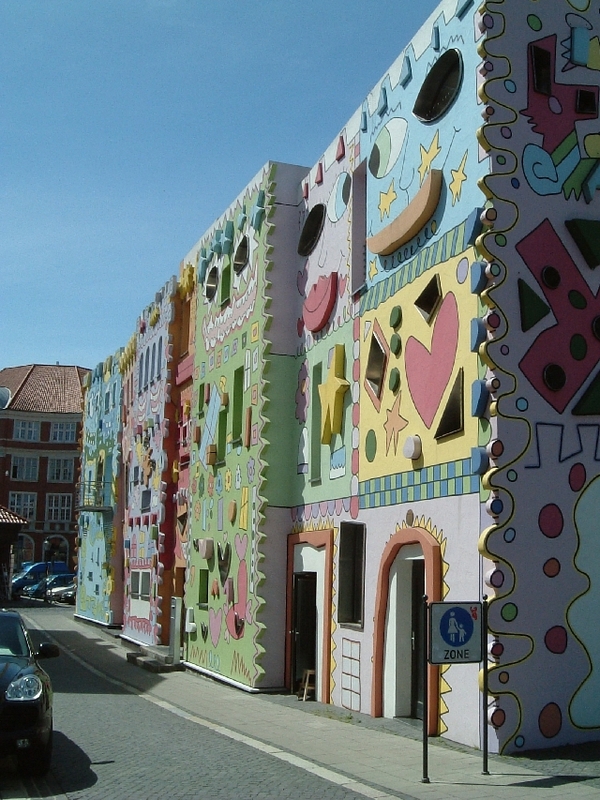 The Happy Rizzi House, at first disparaged and scorned by many as infantile and architecture which would bring the town of Brunswick in to disrepute. 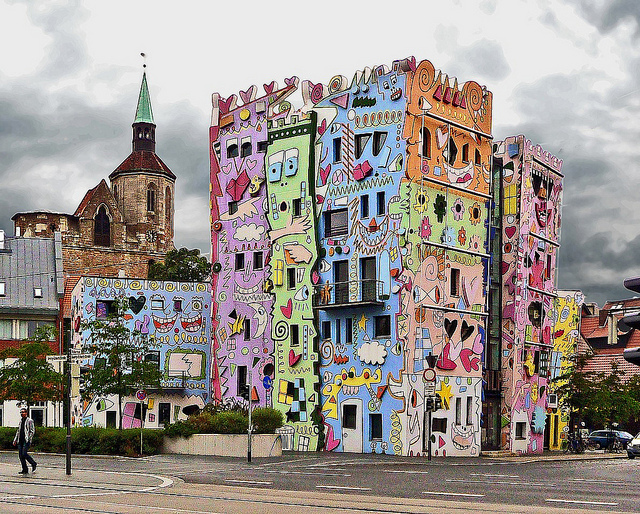 One does have to nod to the detractors – this house may not have worked in a city said to have been founded in the ninth century. Yet it does, gloriously and happily. It is now seen as a kind of border. On one side is the hectic and very twenty first century business sector of the city. 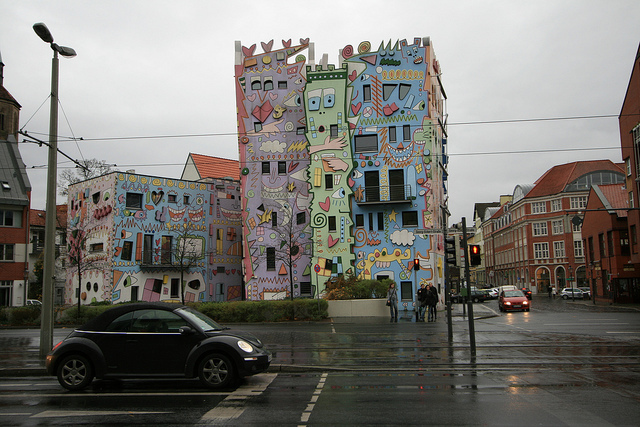 On the other lies the tranquil historical district. 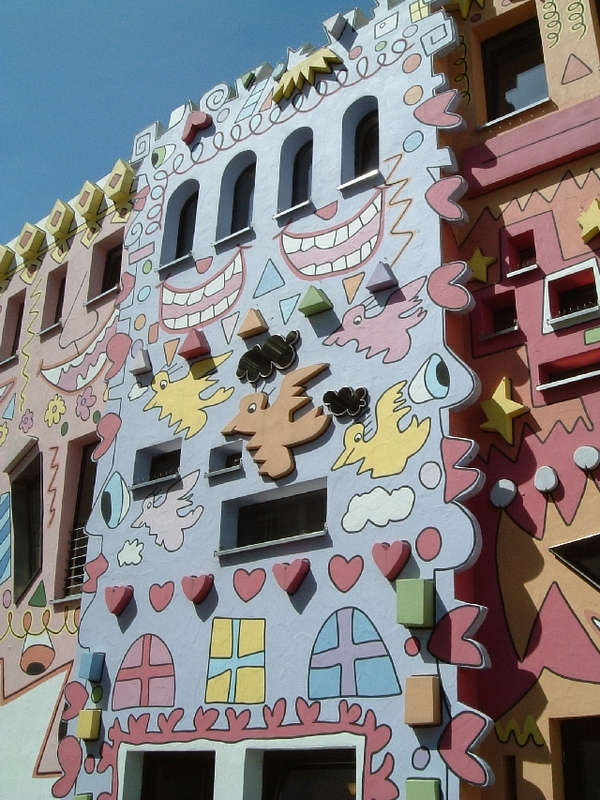 For all its exuberant silliness, the Happy Rizzi House is something which will still raise a smile in a hundred years.